In 1841 the office for public health in the United Kingdom published their first reports on average life expectancy in the country. Almost 180 years ago a new-born baby girl could expect to live to the ripe old age of 43, whereas a new-born baby girl born today would be expected to live until the age of 84. Cleaner living conditions and scientific improvements in medicine have contributed to our increasing life expectancy, however, there is one drawback to a longer life. Whilst modern medicine can extend your time on this mortal coil, it cannot yet prevent your memory from slipping away. 1 in 3 children born in the UK in 2018 will develop Alzheimer’s in later life according to a recent survey. And even more startling, in 2025 there are expected to be over one million people suffering from the disease in the UK. Whilst the future might sound bleak for your memory, there are a wide variety of things you can do to reduce your risk of Alzheimer’s. They’re all incredibly easy to do and most importantly, are fun, so improving your memory won’t be a chore. Read on below to find out some of the best things you can get your hands on to boost your memory. There’s a reason that our TV sets are flooded with game shows, that’s because they’re interactive and fun to play along with. 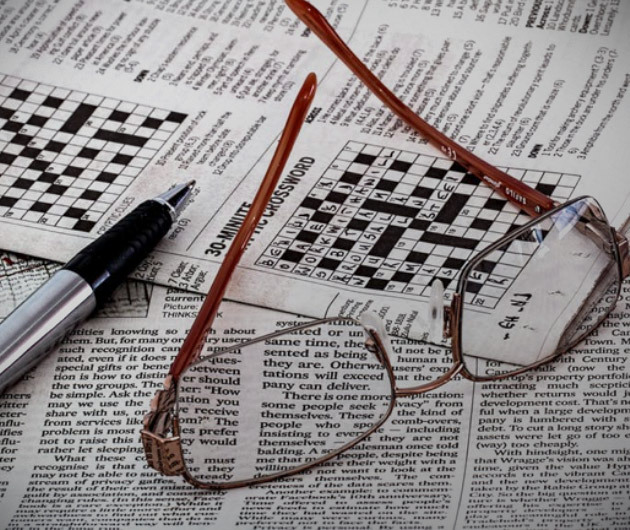 If you’re looking to sharpen your memory then you should definitely think of joining a pub quiz team or getting your hands on some quiz and trivia books. Raking your brain to remember who the lead singer in The Verve was or trying to name the first World Cup winners will improve your recall. You’ll also be more eager to absorb new information which will help your quiz skills and your overall well-being. If you’re not interested in joining a pub quiz team then are plenty of other options available for you. Buy a quiz-based board game and play with your friends or family, or even try out weekly online pub quizzes on current affairs. The English are often cited as the most ignorant nationality in Europe when it comes to learning foreign languages. Every summer European holiday resorts are full of English tourists trying to get their point across to a foreign speaker by shouting their request in English, louder and louder. Learning a foreign language will gain you respect when you travel abroad and will also broaden your horizons. One of the easiest languages to learn is Spanish, which is handy because it’s one of the most widely spoken languages in the world. You can easily get your hands on a cheap CD that will help you along every step of the way. Naturally, picking up a new language will improve your memory as you’ll be effectively doubling your vocabulary. Experts say to become fluent in a foreign language you need to have an almost perfect recall of 2,000 plus words. If you can remember that many foreign words then your memory is clearly in good shape. As a final bonus, becoming fluent in another language will open up a brand-new range of literature for you and potentially extend your social circles. Both of which have been proven to improve your mental state and memory. Poker is often recommended by experts as a good way to improve your memory and reduce your risk of developing Alzheimer’s or dementia. Not only will you have to learn a completely new game, but you’ll also be learning new strategies and a whole host of probabilities and outcomes. People often refer to poker as a game of luck or one of bravado, but in reality, it’s a game of probabilities. There are 1,326 potential outcomes from your opening hand in Texas Hold’em and even more outcomes as the game progresses. Learning the likelihood of certain outcomes and regularly calculating your chances of success will boost your memory immeasurably. Just like pub quizzes, you don’t have to head down to a casino to play poker, you can play online, from your mobile or tablet, and you don’t even have to spend real money if you don’t want to. Mastering the fundamentals of poker isn’t too hard and there’s a large range of games for your PC or mobile that allow you to play for free while you get to grips with it, you can either do this against the computer or against other users. It might sound like something that a 13-year-old does when they’ve had a bad day at school, but keeping a diary is something you should definitely consider, whether it is used to document your travels, or just keep a track of day-to-day life, you’ll find it incredibly useful. By keeping a diary you’ll be forcing yourself to remember all the intricacies of your day which will improve your memory in the future. It’s also a fabulous way to keep a check on your mental health. It’s easy to ignore the problems you’re experiencing until they reach a crescendo and jump up on you. Writing down your daily actions will force you to confront the problems you experienced during the day and will make you better equipped to solve them. You can also review your behavior during the day and use your findings to improve your personal relationships or work performances. With the risk of Alzheimer’s in the UK on the rise, it’s increasingly important that you take responsibility for your own mental well-being and memory. 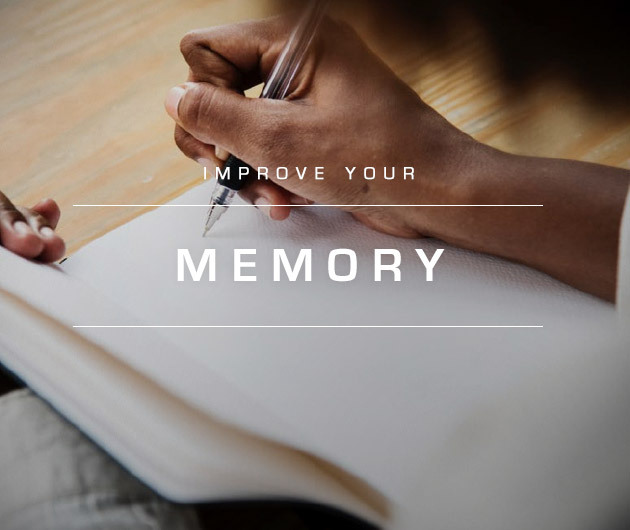 As mentioned in the introduction, improving your memory doesn’t need to be a chore, it can be fun and also beneficial to your overall happiness. Don’t go through all the examples above and try to incorporate all of them into your daily life. Instead choose what suits you and commit to it, otherwise, you won’t enjoy improving your memory and you’ll soon give up. To finish we’ll test your memory now. In what year did the office for public health start publishing life expectancy rates? If you can’t remember without scrolling up, maybe now’s the time to start working on your memory.